We are trying something completely different at Thomas FX . 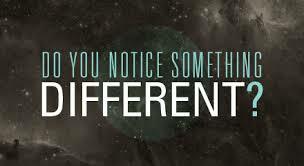 . . Have you noticed (yet)? This year our only outreach is through Our Facebook page to existing customers, their friends, and their families. Experience has taught us that repeat customers, and customers who find us online or through word of mouth, have a much better experience doing business with us, and are more fun to deal with. The money we save by not advertising through traditional media allows us to keep costs down and offer more quality products, to more people, at better sale prices. Advertising to get complete strangers into our store will not be happening this year. While we have fewer people in the store, we get to give each person more personal attention. We enjoy catching up with people, hearing what everyone is up to this year, taking more time to answer questions, and sharing some entertaining ideas. If you are one of our regular customers, please help us to get the word out. Let your friends and families know about your Thomas FX experience.